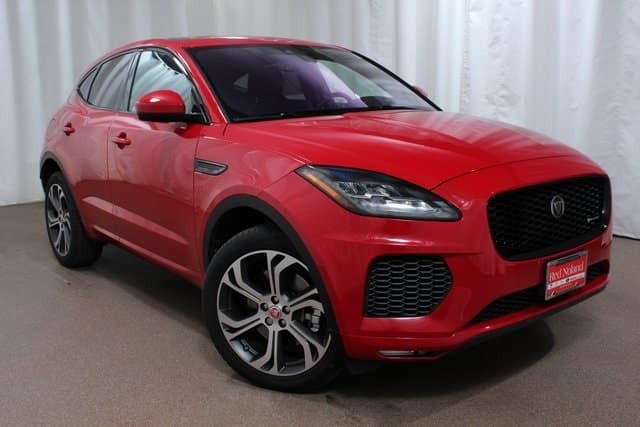 Your 2018 Jaguar E-PACE offers excellent ride comfort and handling. There are a variety of innovative features aimed at providing the driver with dependable handling plus ultimate comfort for all occupants. The E-PACE, Jaguar‘s first compact SUV, will make each journey a pleasure! The aluminum chassis components increase rigidity to provide superior suspension performance. E-PACE has a fully independent suspension system with multi-link rear suspension design. You can depend on the All-Wheel Drive system to control torque distribution to axles. That provides balanced torque to best utilize the available traction. Other innovative systems include Active Driveline and All Surface Progress Control. Active Driveline comes standard on the E-PACE with P300 engine. It creates increased agility through optimized traction. It has the characteristics one would expect from a rear-wheel drive vehicle. This system can distribute rear axle torque effectively to either rear wheel as needed. All Surface Progress Control is a low-speed cruise control that helps with low-traction situations. Visit Jaguar Colorado Springs today and experience the exciting and innovative 2018 Jaguar E-PACE. Take a test drive of this luxury performance compact SUV to really understand just how amazing each of your journeys can be with this fun-to-drive E-PACE.